Recently I posted some thoughts on evolving information security to move towards distributed, collective intelligence or swarm intelligence, (here) and (here), and came across a project at the University of Washington called Phalanx – (here) via /. Their system, called Phalanx, uses its own large network of computers to shield the protected server. 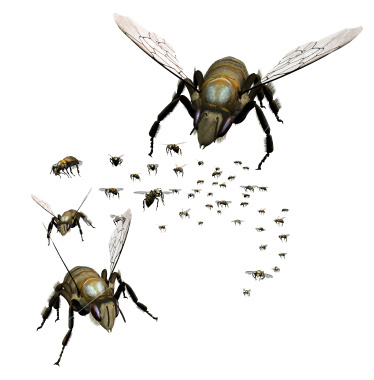 Instead of the server being accessed directly, all information must pass through the swarm of “mailbox” computers. The many mailboxes do not simply relay information to the server like a funnel – they only pass on information when the server requests it. That allows the server to work at its own pace, without being swamped. “Hosts use these mailboxes in a random order,” the researchers explain. “Even an attacker with a multimillion-node botnet can cause only a fraction of a given flow to be lost,” the researchers say. Phalanx also requires computers wishing to start communicating with the protected server to solve a computational puzzle. This takes only a small amount of time for a normal web user accessing a site. But a zombie computer sending repeated requests would be significantly slowed down. This is a very interesting way to deal with the problem of DDoS attacks, it isn’t difficult to imagine how one could use a swarm of intelligent agents to cooperate and shield, or even work to identify patterns of behavior that are representative of malicious or nefarious actions and counter an attack in progress or impending attack before it has a chance to impact the environment.